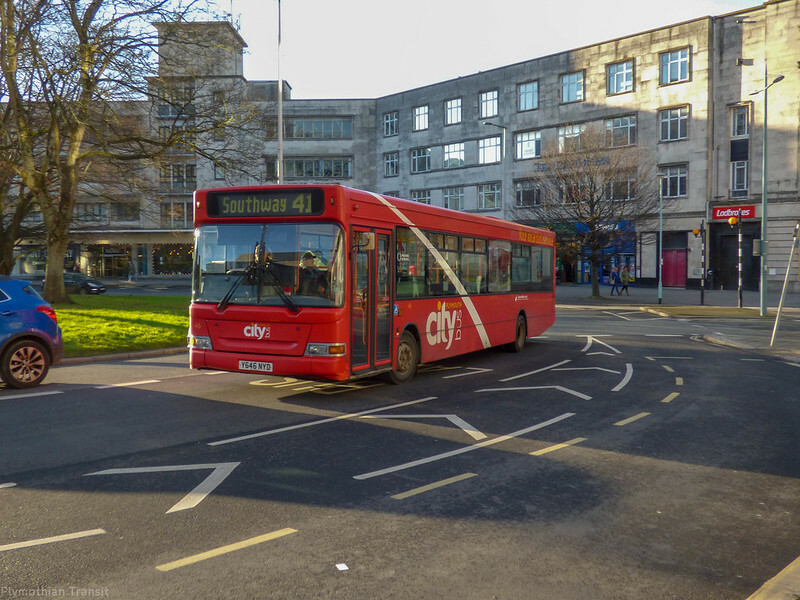 The Plymouth Citybus fleet has seen a lot of changes and looks very different from a few years back. Its not just the older buses that are disappearing. The older liveries have now almost all gone too. The only Darts I have not in full swoops are 67 in the Stenning dark red fronted livery and 70, 71 in the Citaro Red white and Black livery. Of these at least 70 & 71 were out of service awaiting repaint / refurbishment back in August so presumably are still sitting at Milehouse?